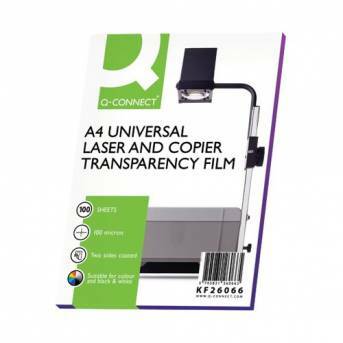 For a great way to ensure that your presentations are always kept to the very best level, these over head projector films are the perfect product for you. Guaranteeing clear prints ever time, these films fit into your printer like paper and can be printed on in both colour and black and white. The professional quality of the print means that you can be sure that you are getting the best results from your over head projector.